Sometimes you know right away, when you catch a glimpse through the crowd, then time slows down and your heart skips a beat. Sometimes you recognize the potential, but want to keep your options open in case something better comes along. Sometimes people may think you're being too picky, but you just know if you keep looking, you'll find what you're searching for. Finding "the one" is pretty similar, whether you're searching for true love or the U.S. Capitol Christmas Tree. As Superintendent of the Capitol Grounds, one of my favorite duties is to select the Christmas tree that will adorn the grounds of the U.S. Capitol each year during the holiday season. This year's tree hails from Big Sky country – the Kootenai National Forest in northwest Montana. 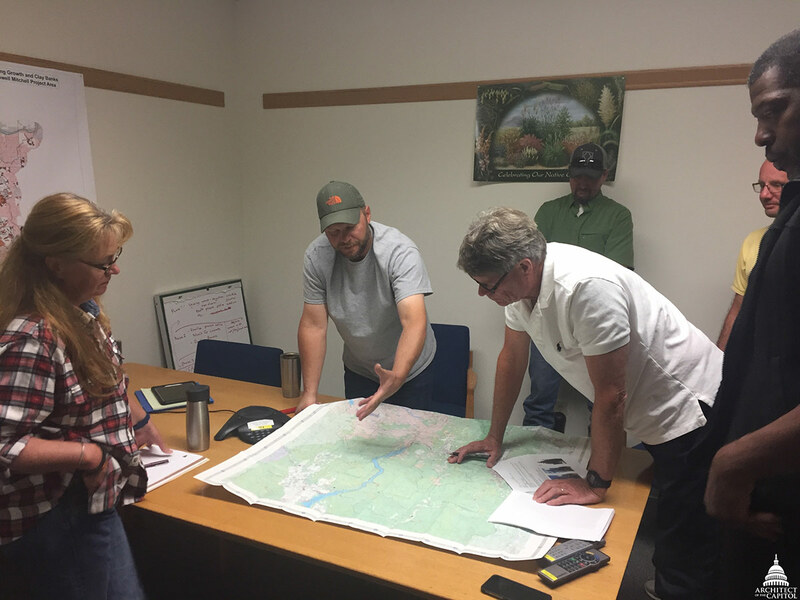 Mapping it all out at the U.S. Forest Service office. This summer, I spent a few days submersed in the peace, quiet and stunning scenery around Libby, Troy, the Yaak and Eureka. 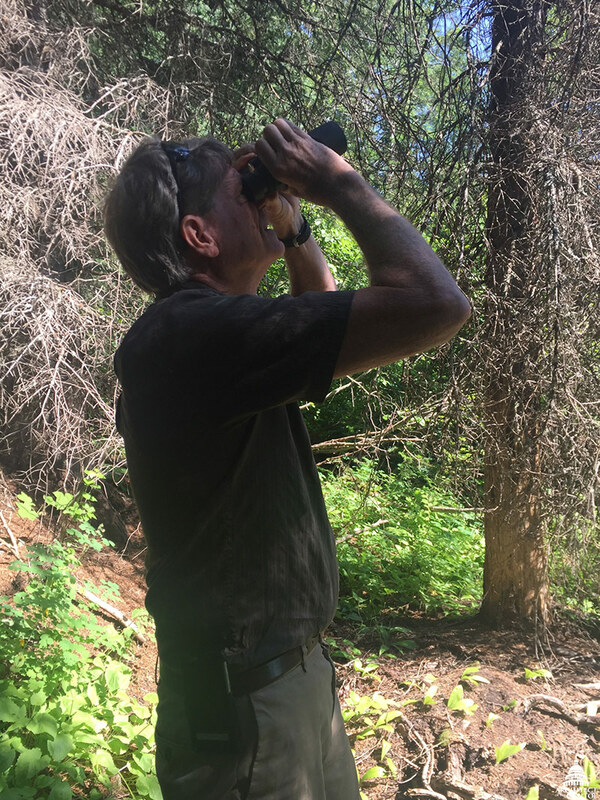 The Kootenai is comprised of an abundance of trees, of course, but it is also home to vegetated hillsides featuring Indian paintbrush, bear grass and devil’s club. 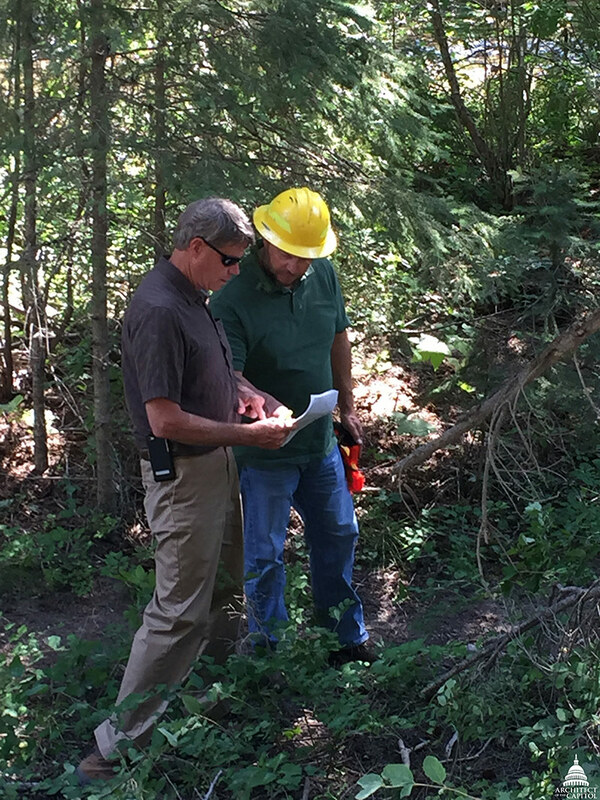 While in the forest, the U.S. Forest Service (USFS) provided some good Engelmann spruce, Western cedar, Subalpine fir and Douglas fir candidates for consideration. Even though trees are plentiful in the forest, it can be difficult to find tree-farm quality in a natural habitat. 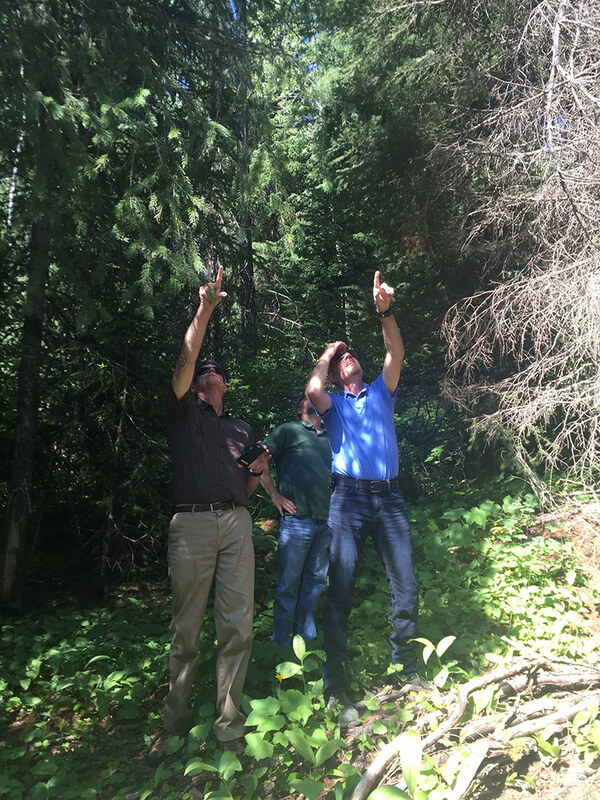 The USFS scouts the forest to select candidate trees based on my criteria: a healthy specimen, a full canopy, a conical shape with dense foliage, a straight trunk and appropriate height. 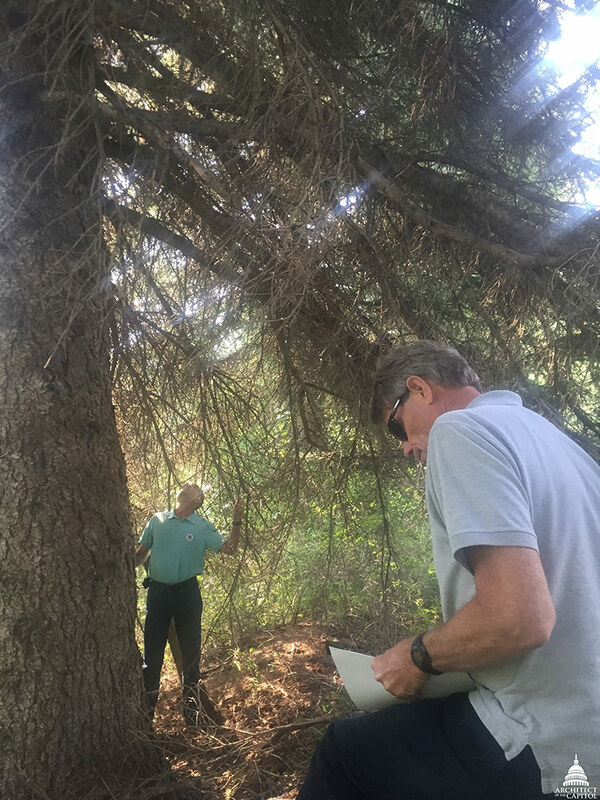 Checking a potential tree's width and trunk size. Many times, choosing the best Christmas tree comes down to logistics. Height and width are important because the selected tree must fit on the back of a tractor-trailer and make its way to our nation's capital over a couple of weeks. For example, a tree with a branch width of 35 feet would be extremely difficult to get on the trailer without snapping branches. And the branches can’t be too thick – 3-inch branches are more pliable than 6-inch branches. After a couple of days in the Kootenai considering all the options, I found "the one." Turns out, it was the first candidate we saw, just a really great tree. 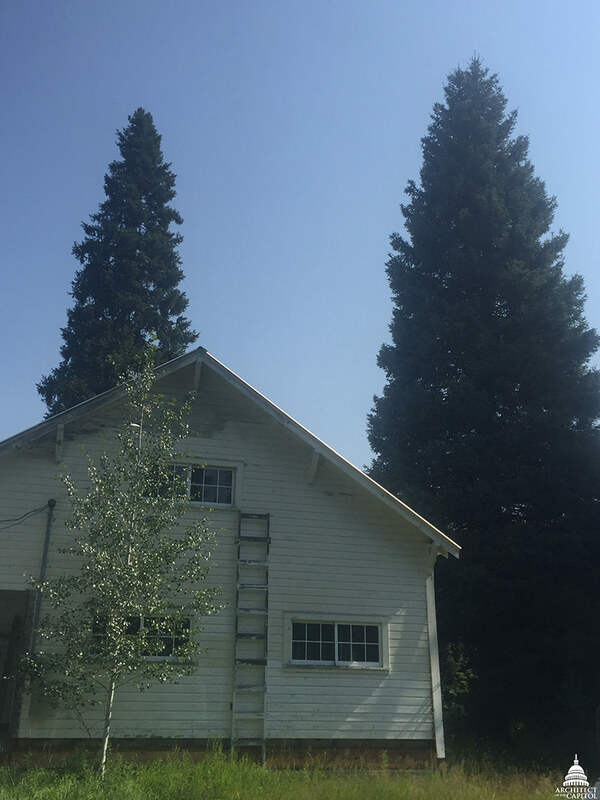 A nice, tall Engelmann spruce that was full and dense with a beautiful blue color, and able to fit into the trailer to make the big journey to Washington, D.C. The 2017 Capitol Christmas Tree will arrive in Washington, D.C., on Monday, November 27 at 10 a.m. The lighting ceremony will take place on Wednesday, December 6 at 5 p.m. on the West Front Lawn of the U.S. Capitol. You are "the one" who will be missed - happy trails upon your retirement next month! Are you going to be near St.
Are you going to be near St. Louis during your trip to the Capitol? Or close by?? my cousin Larry Spiekermeier was chosen to drive this year's tree from Eureka Mt to DC I had the honor of riding with him from Thompson Falls to Plains MT, it was a very pleasant trip tho short, the people all came out to take pictures and wish Larry Godspeed! The people of Montana are proud! It is a beautiful tree.